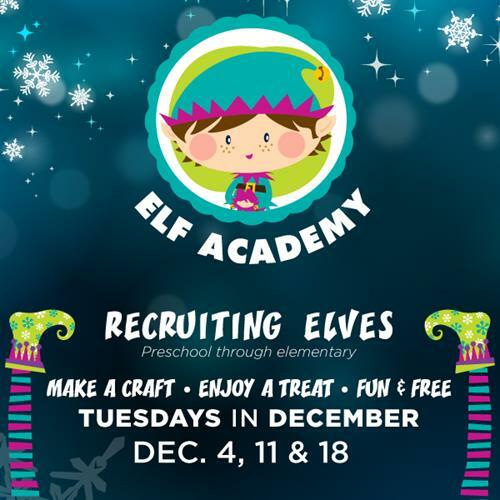 Elf Academy offers fun, holiday craft projects for kids in December on Tuesdays from 10am to noon, located at Santa's Corner near Razzoo's. Kids can participate in creating their very own special holiday craft project to take home (along with a special treat!). This project is geared for children from preschool through elementary school and is free to participate.